Differential geometry and topology have become essential tools for many theoretical physicists. In particular, they are indispensable in theoretical studies of condensed matter physics, gravity, and particle physics. 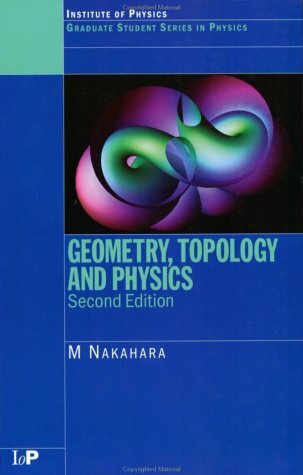 Geometry, Topology and Physics, Second Edition introduces the ideas and techniques of differential geometry and topology at a level suitable for postgraduate students and researchers in these fields. The second edition of this popular and established text incorporates a number of changes designed to meet the needs of the reader and reflect the development of the subject. The book features a considerably expanded first chapter, reviewing aspects of path integral quantization and gauge theories. Chapter 2 introduces the mathematical concepts of maps, vector spaces, and topology. The following chapters focus on more elaborate concepts in geometry and topology and discuss the application of these concepts to liquid crystals, superfluid helium, general relativity, and bosonic string theory. Later chapters unify geometry and topology, exploring fiber bundles, characteristic classes, and index theorems. New to this second edition is the proof of the index theorem in terms of supersymmetric quantum mechanics. The final two chapters are devoted to the most fascinating applications of geometry and topology in contemporary physics, namely the study of anomalies in gauge field theories and the analysis of Polakov's bosonic string theory from the geometrical point of view. I bought this book to supplement my knowledge of mathematics which frequently is involved in understanding Particle physics concepts. The book is terse, but peppered with examples and insights about the definitions, and so far it is really fun to read. Seems like a good investment. Reading all the glowing reviews of this book, I wonder whether the reviewers actually tried to use the book to understand the material, or just checked the table of contents. There are so many misprints, throughout, that one wonders if the book was proofread at all. Some of the mistakes will be obvious to every physicist - for example, one of the Maxwell equations on page 56 is wrong - others are subtle, and will confuse the reader. The careful reader, who wants to really understand the material and tries to fill in the details of some of the derivations, will waste a lot of time trying to derive results that have misprints from intermediate steps which have different misprints! Some chapters are worse than others, but the average density of misprints seems to be more than one per page. The book might be useful as a list of topics and a "road map" to the literature prior to 2003, but that hardly justifies the cost (or the paper) of a whole book. This book provide a complete and useful review of geometrical instuments of mathematical physics from the beginnig to the most advanced topics of interest. It can be used by students at the beginnig of thei studies in this topics, and it's found to be a useful gallery for higher level students (or scholar). This is the best book of its type, that is, a book that contains almost all if not all the advance mathematics a theoretical physicist should know. I have studied chapters 2-9 and it has the perfect balance between rigorous presentation of topics and practical uses with examples. The level is for advance graduate students. The range of topics covered is wide including Topology topics like Homotopy, Homology, Cohomology theory and others like Manifolds, Riemannian Geometry, Complex Manifolds, Fibre Bundles and Characteristics Classes. I believe this book gives you a solid base in the modern mathematics that are being used among the physicists and mathematicians that you certainly may need to know and from where you will be in a position to further extent (if you wish) into more technical advanced mathematical books on specific topics, also it is self contained but the only shortcoming is that it brings not many exercises but still my advice, get it is a superb book! No doubt, the interplay of topology and physics has stimulated phenomenal research and breakthroughs in mathematics and physics alike. Unfortunately, there is so much mathematics to master that the average graduate physics student is left bewildered.....until now. The text is an excellent reference book. I emphasize reference. The book presupposes an acquaintance with basic undergraduate mathematics including linear algebra and vector analysis. The author covers a wide range of topics from tensor analysis on manifolds to topology, fundamental groups, complex manifolds, differential geometry, fibre bundles etc. The exposition in necessarily brief but the main theorems and IDEAS of each topic are presented with specific applications to physics. For example the use of differential geometry in general relativity and the use of principal bundles in gauge theories, etc. Unfortunately, there are very few exercises necessitating the use of supplementary texts. However, to the author's credit appropriate supplementary texts are provided. The author goes to great lengths to show which texts inspired the chapters and follows the same line of presentation. 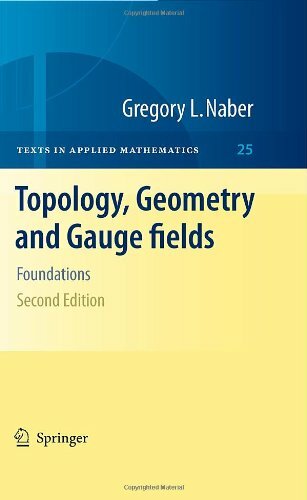 Gregory Naber is to be commended for writing a thorough introduction to gauge field theory in which the mathematics is presented with clarity and rigor.For the professional mathematician who is interested in physics, or for the graduate student who prefers to see the mathematics "done right" in advanced applications to physics, Naber's wonderful two-volume set stands apart from its major competitors, nearly all of which were written by physicists, for physicists. Despite the attention to mathematical rigor, it is clear that Naber intended his books to be accessible to a dual audience of physicists and mathematicians. For the physicists, he has included gentle introductory chapters on topological spaces, homotopy groups, principal bundles, manifolds and Lie groups, and differential forms. For mathematicians, the chapters on physical motivation, gauge fields and instantons, Yang-Mills-Higgs theory, Spinor structures, etc., provide unusually accessible introductions to some difficult physics materials. Chapter 0 of the first volume is worth the price of both books, as it leads the reader, in 26 succinct pages, to a compelling appreciation ofthe natural "fit" of the Hopf Bundle to the task of providing a quantum mechanical analysis of the exterior of a single magnetic monopole.For outsiders who have become incredulous about the increasingly sophisticated uses of topology and geometry in theoretical physics, this example provides some much-needed assurance.As the reader quickly learns, the use of connections on principal fiber bundles is neither gratuitous nor mathematical overkill:indeed, the bundle machinery emerges quite NATURALLY as the simplest and best mathematical tool, perfectly fitted to the special problem at hand. Any serious reader will want to buy both volumes of this set:Topology, Geometry, and Gauge Fields:Foundations (volume 1), and Topology, Geometry, and Gauge Fields:Interactions (volume 2).These books take their place alongside the work of authors such as Jerrold Marsden, Theodore Frankel, Barrett O'Neill, and Walter Thirring, all of whom write about modern mathematical physics in a way that does not obscure the true role of the mathematics. The review "Easy reading, complete proofs, plenty of exercises, October 29, 2005 by Rehan Dost is of the first volume, Foundations, not this volume which is Interactions. Naber's books are crafted to bridge physics, undergraduate mathematics and graduate mathematics. This is one more of his beautiful volumes in applied mathematics. This text is by far the best introductory text marrying basic concepts of physics with pure mathematics. Some background in the basic concepts of vector calculus, linear algebra, complex numbers and group theory is required. The author begins by motivating the mathematics by the pursuit of finding a vector potential to represent a magnetic monopole. We see that the topology of R3-0 precludes such a vector potential from existing. We see here a simple example of how the topology of a space affects the physics associated with it. The importance of the vector potential as something other than a convenient computational tool is highlighted by a reference to essential inclusion in quantum mechanics. Thus we NEED such a potential. The author now asks whether there is a "trick" or device to get around this difficulty. The device are principal bundles and connections. For example the potentials noted above must keep track of the phase of a charged test particle as it moves thru the field of a magnetic monopole. We need a "bundle" of circles ( representing the phase at each point ) over S2 ( the author explains why we need only consider S2 instead of R3-0, briefly we need only keep track of 2 of the 3 spherical co-ordinates ). Thus a curve in S2 thought of as the particles trajectory will have to be "lifted" to the bundle space by a lifting procedure called a connection. In a more general setting elementary particles have an internal structure ( spin etc ) which becomes apparent during interactions although may not be apparent in uniform motion thru a vacuum. Since the phase of the particle does not alter the modulus when calculating probabilities these do not change. However, when the particles interact phase differences are important. We need to keep track of such phases as the particles interact. Thus we need a "bundle" over a 4-manifold ( keeps track of the particles space-time path ) to keep track of such internal states. One sees we also need a group to transform states into one another ( usually incorporated into the bundle ). Connections then model physical phenomena which mediate changes in the internal states. We see that some connections satisfy the Yang-Mills equations and using the appropriate equivalence relation form Moduli spaces. Now that may seem like alot to digest with only a spattering of mathematical maturity. The beauty of the book is that the author starts from FIRST principles. Chapter 1 introduces topological concepts of topology, continuity, quotient topology, projective spaces, compactness, connectivity, covering spaces and topological groups. Chapter 3 introduces principle bundles, transition functions, bundle maps and principle bundles over spheres. Chapter 5 gets to some physics with gauge fields and connections, curvature, Yang-Mills functional, moduli spaces, Hodge dual , matter fields and covariant derivatives. At each step the author carefully provides complete proofs and easy exercises to ensure understanding. It was a pleasure to read the book and complete the exercises. At no point did I feel frustration or boredom. This review refers only to the book printing quality not to the contents. I had purchased some books from Springer in the past (Like Arnold Mathematical Methods of Classical Mechanics, Lang Algebra etc..) and found them beautifully edited: good binding, paper etc..
And to my surprise I was very disappointed with the overall quality of this book, poor binding -glued instead of sewn- bad quality paper -forming waves at the binding spine, etc..
You pay for a quality item, a book you can use for years, and you get a hardbound crap that you can not left open in a table without holding it tight risking to lose the pages after a few days of use in the process. I find this unacceptable in books costing 60$+. Sadly I find this to occur very often, publishers should be more careful with their printings and custumers should demand a better quality. This book offers an introductory course in algebraic topology. Starting with general topology, it discusses differentiable manifolds, cohomology, products and duality, the fundamental group, homology theory, and homotopy theory. i think it was Vick's book that i preferred. i think that this is the one for the grown-ups. While I agree with reviewers generally that this is a good book, i should warn that bredon isnt for the faint of heart. He makes use of simple language from category theory, doesnt always completely introduce his discussions (see for example the chapter on the tangent bundle where tangent bundle is never defined), and some other things that are nuisances to the newcomer. I do think this is a good modern readable textbook, but for the student who has a solid foundation in mathematics. 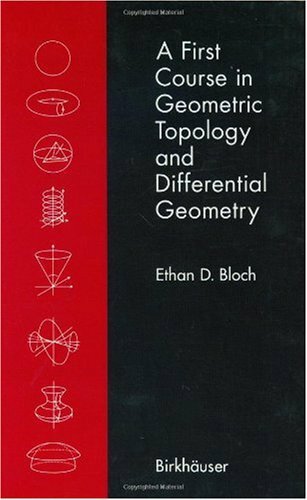 I didnt find it as accessable as other topology books, say Hatcher or Lee's books (but lee's are not as complete). This was the assigned book in my first year grad topology course. It has good examples, interesting exercises. I like the emphasis on geometrical examples, constructions. It's not easy to read, but interesting. Among the best textbooks in algebraic topology. As the previous reviewers have commented, this book is very accessible and detailed. I should add that the authour never lets you get lost in the labyrinth of abstract nonsense; the treatment is always geometric rather than homologico-algebraic. The only complaint I have is, the book would be more useful with chapters on spectral sequences, cobordism and K-theory. This excellent introduction to topology eases first-year math students and general readers into the subject by surveying its concepts in a descriptive and intuitive way, attempting to build a bridge from the familiar concepts of geometry to the formalized study of topology. The first three chapters focus on congruence classes defined by transformations in real Euclidean space. As the number of permitted transformations increases, these classes become larger, and their common topological properties become intuitively clear. Chapters 4–12 give a largely intuitive presentation of selected topics. In the remaining five chapters, the author moves to a more conventional presentation of continuity, sets, functions, metric spaces, and topological spaces. Exercises and Problems. 101 black-and-white illustrations. 1974 edition. This book is not a textbook -- nor is it a rigorous buildup of topology from geometry. It is simple and conceptual bridge from the concepts of congruence classes in geometry, and basic ideas from map theory, into topology. 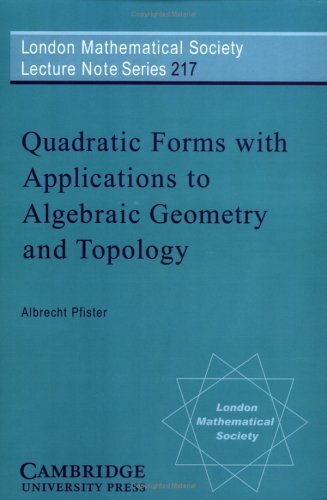 For any person wishing to acquire a grasp of the subject, I would recommend this book as a primer to any more conventional treatment of topology. In many texts, you are given general theorems in terms of sets, with no real idea of why these ideas have come about. 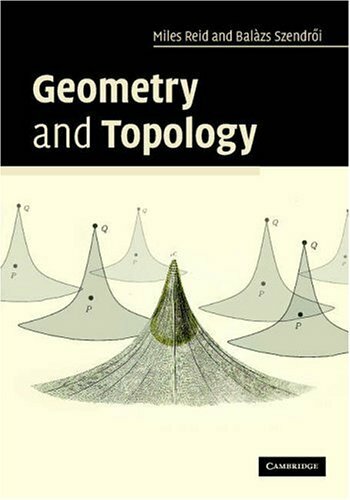 From Geometry to Topology provides the necessary intuitive background... which is not to mention -- it's a darn interesting read. This book is quite pictorial and thus easy to read, as it's intended to be: a first introduction on undergraduate level to topology. However, it's a pity it doesn't go into topology very much. It stays very informal. I bought this book shortly after my introductory analysis professor had once mentioned what is topology. 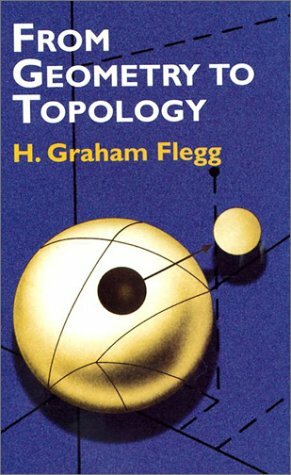 That was the first topology book I had read, and I fell in love with the subject ever since. It's easy to understand,and very enlightening as well. 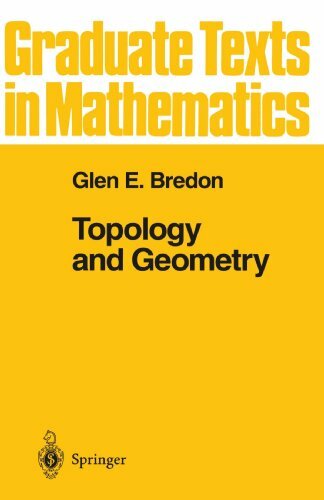 The book walks you through the transition from geometry to topology, then eleborates on several basic topological concepts. This book shows you the geometric view of some advanced mathematical topics. It can greatly assist your intuition of what is going on in a mathematical setting when reading a true mathematics book. Armed with this book the other advanced text in Topology, Algebraic Geometry and Differential Geometry make more sense from a Physics point of view. When reading this book one can both admire these authors and feel sympathy with them. They have made an honest effort to explain the conceptsof differential geometry and topology in a way that is understandable and appreciated by the physicist reader. But the book falls short in many places, although there are some places where they do a fine job. They have taken on a very difficult project in this book, for it is quite straightforward to expound on the formalism of mathematics, but explaining it in a way that grants insight into its conceptual meaning is another matter altogether. Many physicists complain, with justification, that the way mathematics is presented in textbooks is not sufficient for giving them a deep appreciation of the underlying ideas involved. This, they argue, is what is needed for devising new physical theories and results based on these ideas. Physicists must assimilate very complex mathematical ideas very quickly in order to formulate these theories in a reasonable time frame. This is especially true in high energy physics, which in the last two decades has used mathematics like it has never been used before. Indeed, the mathematical complexity of high energy physics is dizzying, and if progress is going to be made in this field by the students of the 21st century, they are going to need mathematics books and documents that are more than just formal expositions. But, again, writing these kinds of books is very hard to do, and has yet to be done in a book to this date, although there are helpful discussions scattered throughout the mathematical literature. Some of the concepts that need more in-depth explanation include: the theory of characteristic classes, sheaf theory, the theory of schemes in algebraic geometry, and spectral sequences in algebraic topology. There are of course many others, and some of the ones that the authors do a fairly good job of explaining in this book include: 1. the reason that the continuity of a function is defined in terms of inverses of open sets; 2. The orientability of a manifold; 3. The fundamental group and its relation with the first homology group. 4. The discussion on Morse theory. Unlike many physics students, I grant a lot of leeway to books on mathematics for physicists.I think it's all right for an author to engage in hand-waving arguments if this enhances physical intuition or even to make the occasional statements without proof if this allows more ground to be covered.However, if a proof actually is presented, I expect this proof to be correct.In this book, proofs are sometimes only for special cases of theorems stated more generally and often contain logical errors. Nash's book commits the sin many mathematical physics textbooks out there commit: "oh, we're writing for dimwit physicists, lets just give them a few scrawny examples and assure them everything else works alright." I'm sorry but writing for physicists is NOT an excuse for writing a sloppy textbook. Would you feel alright not knowing how an integral is defined? Would you use a numerical evaluation software to calculate integrals in serious research without understanding the algorithm it uses? If you do then you're a pretty shoddy physicist. I'm not saying this out of some "macho" sentiment many purist physicists have - I'm simply saying this because I feel the way this book teaches you diff. geometry is wrong - it teaches you to draw pictures and go by the pictures. When the pictures run out, so does your understanding. This book is supposed to teach differential geometry. However, very little can be learned from it unless one already knows differential geometry: definitions are sometimes not general and sometimes not present at all, theorems are often stated only for special cases and even more often than that not proved at all. Sure, the book offers nice geometrical intuition, but this is not enough. An example: the book "proves" Stoke's theorem around page 40. Now, even a rigorous and condensed book would have problems doing that, considering the amount of "machinery" one needs to build up for it (tensors, differential forms, manifolds and so forth). This means the book makes a mess of it - big time. It is a very intiutive book in both areas. Also at the end of the book there is a good material for further study, author explains the research fields in Geometry/Topology and related books. If you are an undergraduate and want to get an overall idea about the gradute study in topology and geometry that is a nice introduction. I have not read the book, only the reviews.In one excellent review here it is remarked that it is "unfortunate" that the author does not prove the Schoenflies theorem and the triangulability of surfaces. later this same reviewer observes that the proof of the smooth Gauss Bonnet theorem in the book seems relatively hard.I merely wish to point out that the author has made choices in the reader's interest both by what he includes and what he omits. The two theorems named above which are not proved, could well take another entire book to prove.They are far harder than the smooth Gauss Bonnet theorem. I have seen entire books devoted to proving triangulability, and Schoenflies theorem was the subject of weeks of tedious work in a topology course I took as a student.I still dislike even hearing of this result.So if these omissions are the reviewer's only criticisms of the book, they should rightly be considered pluses. Hence I also give the book at least 4 stars, by logical deduction. This book is suitable for reading at an advanced undergraduate or beginning graduate level. The author is careful to present the subject from both a rigorous point of view and one that emphasizes the geometric intuition behind the subject. These two approaches to teaching topology are not mutually exclusive, with this book giving a good example of this. After a brief overview of the elementary topology of subsets of Euclidean space in chapter 1, topological surfaces are discussed in chapter 2. Surfaces are built up from arcs, disks, and one-spheres. Unfortunately, the proofs of the theorem of invariance of domain and the Schonflies Theorem are not included, but references are given. Gluing techniques though are effectively discussed, and the author does not hesitate to use diagrams to explain the relevant concepts. The more popular constructions in surface topology, namely the Mobius strip and the Klein bottle are given as examples of the cutting and pasting techniques. The amusing fact that the Klein bottle can be obtained from gluing two Mobius strips along their boundaries is proven. The theory of simplicial surfaces is discussed in the next chapter. Simplicial surfaces are much easier to deal with for beginning students of topology. Simplicial complexes are introduced first, and the author then studies which simplicial complexes have underlying spaces that are topological surfaces. He proves that this is the case when each one-dimensional simplex of the complex is the face of precisely two two-dimensional simplices, and the underlying space of each link of each zero-dimensional simplex of the complex is a one-dimensional sphere. Unfortunately, the author does not prove that any compact topological surface in n-dimensional Euclidean space can be triangulated. The Euler characteristic is defined first for 2-complexes and it is shown that it is the same for two simplicial surfaces that triangulate a compact topological surface. The author does prove in detail the classification of compact connected surfaces. Interestingly, the author also proves a simplicial analogue of the Gauss-Bonnet theorem, and gives a proof of the Brouwer fixed point theorem. The author turns to smooth surfaces in the next few chapters, wherein curves are defined along with the relevant differential-geometric notions such as curvature and torsion. The fundamental theorem of curves is proven. The reader is first introduced to the concept of what in more advanced treatments is called a differentiable manifold, and several concrete examples are given of smooth surfaces. The differential geometry of smooth surfaces is outlined, with the first fundamental form and directional derivatives discussed in great detail. The reader should be familiar with the inverse function theorem to appreciate the discussion of regular values. Even more interesting differential geometry is discussed in chapter 6, which covers the curvature of smooth surfaces. The important Gauss map is defined, along with the Weingarten map and the second fundamental form. This allows an intrinsic notion of curvature, but the author does perform explicit computations of curvature using various choices of coordinates. The proof that Gaussian curvature is intrinsic (Theorema Egregium) is proven, along with the fundamental theorem of surfaces. Geodesics, so important in physical applications, are discussed in the next chapter. The reader gets a first look at the "Christoffel symbols", even though they are not designated as such in the book. The book ends with a thorough treatment of the Gauss-Bonnet theorem for smooth surfaces. The smooth case is much more difficult to prove than the simplicial case, as the reader will find out when studying this chapter. The author also gives a very brief introduction to non-Euclidean geometry. Lots of times the mathematicians stuck in proofs,in that fool symbols, forgetting the ideas, the picture.One can never find the right way withclosed eyes.This book teaches to think, getting beyond the symbols. Ithas also useful advises about the research areas. The author made his Phdat Cornell with D.Henderson.A beautiful undergraduate text. FAR worse than Thurston's classic notes, whence it came. Covers very little material by comparison, and has a lot more bogus "explanations". Given that the notes are available for free from Math. Sciences Research Inst. (MSRI), in convenient PDF form (for us Kindle DX Wireless Reading Device (9.7" Display, Global Wireless, Latest Generation)and Apple iPad MB292LL/A Tablet (16GB, Wifi) users, this is not a great book to get. approach to geometry, you think that we have a theory that neglects 5 dimensions and above? So as good as this text is, it still falls somewhat short of what is needed in the modern world and we are forced to think of our own way to interpret the standard model symmetry breaking of SU(5) (CartanA_4) to U(1)*SU(2)*SU(3). Stanislaw Ulam once compared learning mathematics to learning a language, in that some people learn mathematics by "grammar" while other learn it by ear.Thurston's book is a bit like learning by ear. 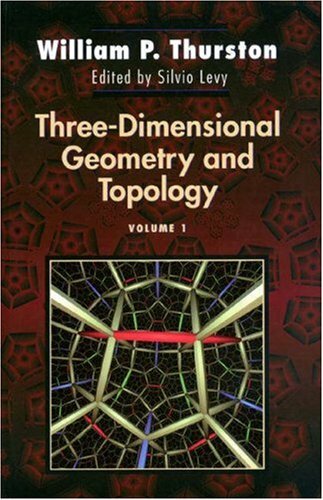 A must for anyone entering the field of three-dimensional topology and geometry.Most of it is about hyperbolic geometry, which is the biggest area of research in 3-d geometry and topology nowdays. Most of it isreadable to undergraduates.Its target audience, though, is beginninggraduate students in mathematics.If not already familiar with hyperbolicgeometry, you might want to get an introduction to the subject first.Oncewith this background, though, you will discover there is another level ofunderstanding of hyperbolic space you never realized was possible.Oneimagines Thurston able to skateboard around hyperbolic space with the kindof geometric understanding he conveys here. This book covers a new explanation of the origin of Hamiltonian chaos and its quantitative characterization. 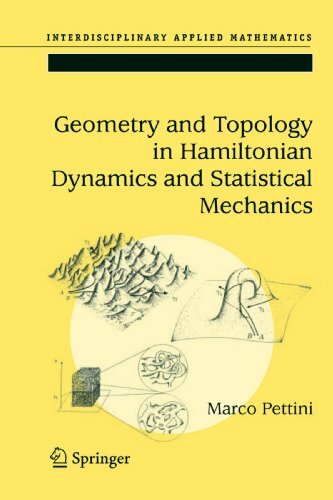 The author focuses on two main areas: Riemannian formulation of Hamiltonian dynamics, providing an original viewpoint about the relationship between geodesic instability and curvature properties of the mechanical manifolds; and a topological theory of thermodynamic phase transitions, relating topology changes of microscopic configuration space with the generation of singularities of thermodynamic observables. The book contains numerous illustrations throughout and it will interest both mathematicians and physicists. "In the world of mathematics, the 1980's might well be described as the "decade of the fractal". Starting with Benoit Mandelbrot's remarkable text The Fractal Geometry of Nature, there has been a deluge of books, articles and television programmes about the beautiful mathematical objects, drawn by computers using recursive or iterative algorithms, which Mandelbrot christened fractals. Gerald Edgar's book is a significant addition to this deluge. Based on a course given to talented high- school students at Ohio University in 1988, it is, in fact, an advanced undergraduate textbook about the mathematics of fractal geometry, treating such topics as metric spaces, measure theory, dimension theory, and even some algebraic topology...the book also contains many good illustrations of fractals (including 16 color plates)." 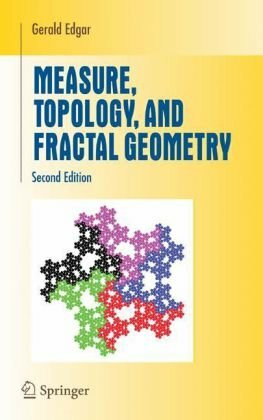 "The book can be recommended to students who seriously want to know about the mathematical foundation of fractals, and to lecturers who want to illustrate a standard course in metric topology by interesting examples." "...not only intended to fit mathematics students who wish to learn fractal geometry from its beginning but also students in computer science who are interested in the subject. Especially, for the last students the author gives the required topics from metric topology and measure theory on an elementary level. The book is written in a very clear style and contains a lot of exercises which should be worked out." About the second edition: Changes throughout the text, taking into account developments in the subject matter since 1990; Major changes in chapter 6. Since 1990 it has become clear that there are two notions of dimension that play complementary roles, so the emphasis on Hausdorff dimension will be replaced by the two: Hausdorff dimension and packing dimension. 6.1 will remain, but a new section on packing dimension will follow it, then the old sections 6.2--6.4 will be re-written to show both types of dimension; Substantial change in chapter 7: new examples along with recent developments; Sections rewritten to be made clearer and more focused. to 2d and 3d parametrics or the unit Mandelbrot cartoon method. that duplicating the fractals needs much more information?! are left out, but my double V L-system made the index as a picture. I liked this book because it provided me with a new perspective on metricspaces, in using them as a basis learning about fractals. I think it servesas a nice book for an undergraduate to read and get enthused about studyingfractals at a higher level. Good starting point to study fractal geometry. This book could be used as a bridge between traditional books on topology-analysis and the speciallized treatises on fractal geometry. More a catalog of definitions, methods, and references than a course text, itcovers the fundamental topological and measure-theoretic concepts needed tounderstand the principles of some of the different dimension theories thatexist. But warning: the book is far away of being a complete exposition onany of the subjects it includes. Suitable for 3rd-year undergrads.Interesting examples and exercises. Extensive bibliography. Please checkmy other reviews in my member page (just click on my name above). A difficult but worthy book! This book brings the most important aspects of modern topology within reach of a second-year undergraduate student. It successfully unites the most exciting aspects of modern topology with those that are most useful for research, leaving readers prepared and motivated for further study. Written from a thoroughly modern perspective, every topic is introduced with an explanation of why it is being studied, and a huge number of examples provide further motivation. The book is ideal for self-study and assumes only a familiarity with the notion of continuity and basic algebra. Theorems are proved in a rigorous yet intuitive style that one feels like it was an explanation rather than a dry proof typically found in the advanced math books. Important key ideas are also sufficiently illustrated through examples and exercises. If one finds it verbose, I'd recommendcroom--a bit more like the typical math books but accessible. We used this book in an introductory topology class I took.Some of the exercises are poor (e.g. counting the number of topologies) and the exposition wasn't anything to go crazy about.After a while, I found myself reading Munkres exclusively; it's much more comprehensive.Maybe this book is well suited for folks looking to get a flavor of topology but nothing super concrete. I have never seen such a beatiful explanation on continuity and its relations to series and sets. Now I understand why, when mathematics is lousily explained,everything seemms to be so hard. I recommend strongly this book for someone for self study on topology. Hope the author can write on other topics of mathematics. I have a major in math, many years ago. I have moved into economics, but miss the elegance of math, hence I decided to revisit some old topics, and started with topology. As a student we used lecture notes and no real textbook, so my choice now was this textbook. It is a pure pleasure to read. I wish we had used it as a text book when I studied. While I agree with the other reviewers here that Jaenich's "Topology" is very well written, goes to great lengths to explain the "hows and whys" of topology, and includes many, many figures (about 1 per page on average), it is probably more popular with people who already know topology than with beginning students, even though it is an introductory text intended for undergraduates. This is due to both a frequent lack of precision or formality in proofs and definitions coupled with a tendency to discuss much more advanced material with which a student at this level wouldn't be familiar. I believe that experienced mathematicians, who perhaps learned point-set topology from books such as those of Munkres, Kelley, or Bredon (or even an analysis book such as Royden), appreciate how this book focuses on motivating the concepts, explaining how the various objects are used elsewhere in mathematics - for that purpose this is one of the finest books I have seen. However, too much material is mentioned that is certainly over the heads of most students new to topology, such as the Pontrjagin-Thom construction, the spectrum of commutative Banach algebras, or Lie groups, often in a very cursory manner that would serve only to confuse beginners. Concepts are often used before they are defined, or are not defined precisely, which is liable to frustrate these students as well. Many topics are given such short attention it makes you wonder why the author even bothered - such as a page devoted to Frechet spaces followed by a section consisting of a single paragraph on locally convex topological vector spaces. Much of the material is not covered very deeply - only a definition and maybe a theorem, which half the time isn't even proved but just cited. "We talk about homology (and a number of other objects beyond the realm of point-set topology) several times in this book, but the definition is not given." That, in a nutshell, explains the difficulty with this book. "What is point-set topology about?," "What is algebraic topology?," "Homotopy - what for?," "The role of the countability axioms," "Why CW-complexes are more flexible," "Yes, but...?," "The role of covering spaces in mathematics," "What is it [Tychonoff's theorem] good for?" The chapter on covering spaces, coming near the end of the book, is particularly good, with a proof of their classification given. This is definitely the most fleshed-out part; if only the rest of the book could go into this depth. This book would make an excellent supplement to a more formal textbook such as Munkres, but is not a substitute for it. But I would still consider this as a must-read for all those students who plan on studying mathematics in graduate school. This text gives the reason behind many advanced topological concepts and tantalizes the reader with it's varied applications. Basic topological concepts of open, closed, continuous, product topology, connectedness,compactness and intro to separation axioms is presented in a logical concise and easy to understand way. The author then delves into topological groups and vector spaces introducting Hilbert Banach and Frechet spaces ( albeit briefly ). Quotient spaces,homotopy, complexes and urysohn and tietze lemma along with partitions of unity are tackled next. I especially enjoyed the section on covering spaces with which it concludes. Perhaps the single best accolade I can give the book is that it gives one inspiration and motivation to explore in greater detail mathematical objects discussed. The text is useful to all students of mathematics and physics alike. This book is fun to read. In a weekly homework meeting for an Algebraic Geometry class, I complained to one grad student "Geometry textbooks should have many pictures", and he asked "Define 'many'?" I said "One on each page". Now this topology book is certainly close to that. (It has more than 180 illustrations.) Though its written style is a bit informal, 'handwaving' arguments can serve as outlines of rigorous proofs. Since it does not have any problem sections, I can see why Munkres' book is more popular in college. It still gives some inspiring questions from time to time. Besides the basic pot-set topology, it also covers some algebraic topology and differentialtopology. The author does not hesitate to use examples from those advanced areas without formal definitions, and this was a bit annoying when I read it the first time. In this sense, the book is not really selfcontained. However, when finally a notion is formally defined, I can see it from various aspects in those examples. This really helps me understand topology better, and makes me want to explore them. After reading the existence thm of covering spaces in chapter 9, I realized that mathematics is really an art. The index in the back of the book is in the format of short definitions, which can be used as a quick reference. It is not too often that a book about topology is written with the goal of actually explaining in detail what is going on behind the formalism. The author does a brilliant job of teaching the reader the essential concepts of point set topology, and the book is very fun to read. The reader will walk away with an appreciation of the idea that topology is just not abstract formalism, but has an underlying intuition that is rich in imagery. The author has a knack for allowing readers to "see into the future" of what kind of mathematics is waiting for them and how topology is indispensable in its study. At the end of chapter three, which deals with the quotient topology, the author writes the following paragraph: "If is often said against intuitive, spatial argumentation that it is not really argumentation but just so much gesticulation - just 'handwaving'. Shall we then abandon all intuitive arguments? Certainly not. As long as it is backed by the gold standard of rigorous proofs, the paper money of gestures is an invaluable aid for quick communication and fast circulation of ideas. Long live handwaving!". This has to rank as one of the best paragraphs that has every appeared in a mathematics book, for it nicely summarizes the need for developing a feel for the concepts behind mathematics before moving on to the rigorous proofs. Physicists in particular, who must assimilate mathematics very quickly in order to apply it to real problems must have a pictorial, "playful" understanding of the mathematical constructions. Thus the language that the author employs is informal, and a listing of the best discussions in the book would really entail a listing of every one in the book. 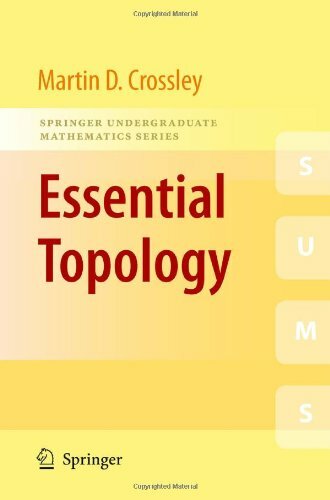 There is not one part of the book that is not helpful or interesting, and the author delves into many different areas that involve the use of topology. If you are a beginning student in mathematics, BUY AND STUDY THIS BOOK...BUY AND STUDY THIS BOOK. You will take away so much for the price paid. 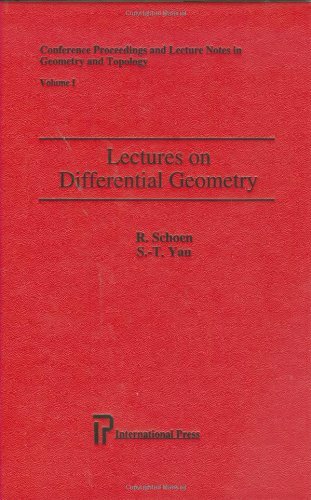 Accessible, concise, and self-contained, this book offers an outstanding introduction to three related subjects: differential geometry, differential topology, and dynamical systems. Topics of special interest addressed in the book include Brouwer's fixed point theorem, Morse Theory, and the geodesic flow. Smooth manifolds, Riemannian metrics, affine connections, the curvature tensor, differential forms, and integration on manifolds provide the foundation for many applications in dynamical systems and mechanics. The authors also discuss the Gauss-Bonnet theorem and its implications in non-Euclidean geometry models. 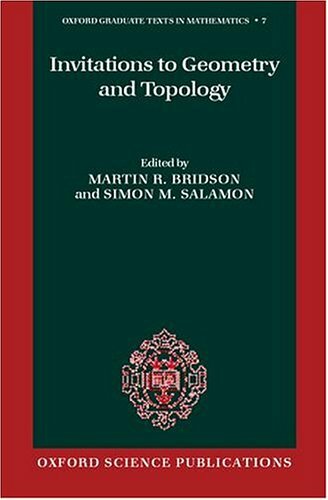 The differential topology aspect of the book centers on classical, transversality theory, Sard's theorem, intersection theory, and fixed-point theorems. The construction of the de Rham cohomology builds further arguments for the strong connection between the differential structure and the topological structure. It also furnishes some of the tools necessary for a complete understanding of the Morse theory. These discussions are followed by an introduction to the theory of hyperbolic systems, with emphasis on the quintessential role of the geodesic flow. It was a great pleasure to read the book “Differential Geometry and Topology With a View to Dynamical Systems” by Keith Burns and Marian Gidea. The topic of manifolds and its development, typically considered as “very abstract and difficult”, becomes for the reader of this outstanding book tangible and familiar.This joyful aspect of the book was achieved by the authors by setting the advanced material of differential geometry and topology as if on a “mobile bridge” or a “crossroad” that associates a(n) (primarily) unfamiliar abstract part of the text with elementary math theories. The latter pedagogical approach was mostly carried out through carefully prepared examples, in which, for essentially abstract structures and mathematical topics, well known familiar elementary settings serve as obvious motivations, which make the transition to a higher level of an abstraction smooth. Nevertheless, the scope of the main topic in this book, differential geometry and topology, is pretty far advanced.Besides the basic theory, centered around analytical properties of manifolds (mostly endowed with additional, in particular Riemannian, structures and vector or tensor fields defined on them) and their applications, it also provides a good introductory approach to some deeper topics of differential topology such as Fixed Points theory, Morse theory, and hyperbolic systems throughout the rest of the book. The main stream of the applications that always follow or motivate the theoretical context is dynamical systems. Excellent examples reveal the close ties ofthisbeautiful mathematical theory with common problems intheoreticalphysics, classical and fluid mechanics, field theory, and, most importantly, the theory of general relativity. The book by Burns and Gidea is also be strongly recommended for those readers who wish to enhance their mathematical tools to make possible a deeper insight into these fascinating physical theories. 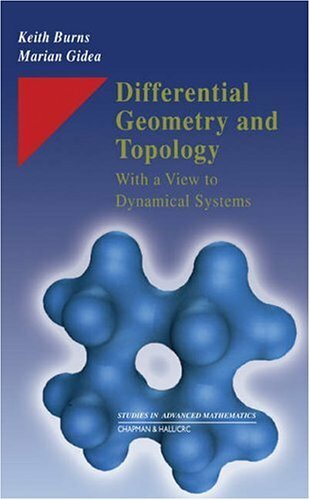 A very clear and very entertaining book for a course on differential geometry and topology (with a view to dynamical systems). First let me remark that talking about content, the book is very good. Each of the 9 chapters of the book offers intuitive insight while developing the main text and it does so without lacking in rigor. The first 6 chapters (which deal with manifolds, vector fields and dynamical systems, Riemannian metrics, Riemannian connections and geodesics, curvature and tensors and differential forms) make up an introduction to dynamical systems and Morse theory (the subject of chapter 8). Chapter 7 is devoted to fixed points and intersection numbers. The last chapter is an introduction to hyperbolic systems. This enjoyable and highly instructive book contains a large number of examples and exercises. It is an incredible help to those trying to learn dynamical systems (and not only). It teaches all the differential geometry and topology notions that somebody needs in the study of dynamical systems. The authors, without making use of a pedantic formalism, emphasize the connection of important ideas via examples. It completely enhanced my knowledge on the subject and took me to a higher level of understanding. And much more pleasant to read than Edelsbrunner's Computational Geometry book. I have very little interest in Mesh Generation, but most of the book is not about that, but is rather a rather lucid introduction to central topics in modern discrete and computational geometry. OK, I must admit, I know the author personally, like his work a lot. And so I can only recommend this book. But that's not what you're looking for in a review, nor am I talking to freinds or collegues who already know hime too.This book will introduce you to simplicial complexes, and deep mathematical constructs, along with some topology and geometry, while at the same time remaining hands-on and simpler.Mostly, the notation is clean, simple, and yet rigorous enough that you'll really be in terrific shape one you integrate it. It's actually amazing that it comes so clean given how powerful it can be. Meshes are the basis for many of the computer graphics and CAD/CAM modern methods, and are an indispensible tool. 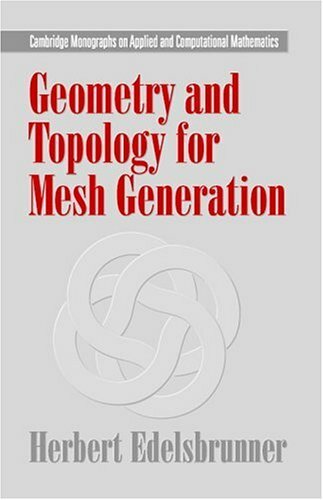 That's the real value of reading this book: you'll get some real good tools for manipulating meshes (whether what you want to do is the same or different than the author), and especially you'll get a mathematically correct and rigorous treatment. You'll earn about simplicial complexes not from an abstract algebraic topology point of view (although the author is well-acquainted with them) but as a tool for representing surfaces and solids.The topics revolve around reconstructing a surface from a point cloud (using so-called Delaunay triangulations, which is one of the prevalent methods for that problem). It starts simply with 2D and moves on to 3D.It builds on the research of the author for more than a decade. Application of the concepts and methods of topology and geometry have led to a deeper understanding of many crucial aspects in condensed matter physics, cosmology, gravity and particle physics. This book can be considered an advanced textbook on modern applications and recent developments in these fields of physical research. 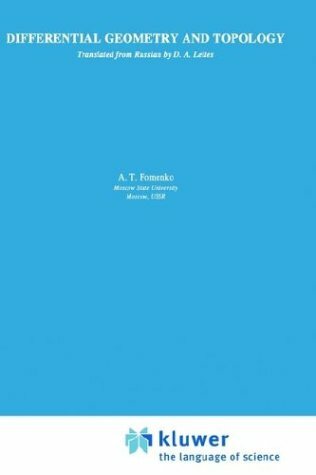 Written as a set of largely self-contained extensive lectures, the book gives an introduction to topological concepts in gauge theories, BRST quantization, chiral anomalies, sypersymmetric solitons and noncommutative geometry. It will be of benefit to postgraduate students, educating newcomers to the field and lecturers looking for advanced material.